Please bring Mat/Blanket/Cushion and Water. This is important for your comfort and warmth. Seriously please PLEASE it’s your experience, don’t rock up without a mat!!! If you need a Mat I have just a few at the venue and they can be reserved in advance on a first come basis. Ideally please arrive for 4.50pm which will give you ample time to register, settle in, take a few deep breaths allowing for a gentle transition from your journey to the gong space. We will observe a silence before the start. Facilitator: Odette Kurland is a Gong Healer Practitioner, Reiki Master and Meditation Facilitator. Laughter Yoga Teacher/Trainer and Happiness faciliator. She has trained with various Gong teachers including Don Conreaux, Abby delSol, Tom Soltran and Sheila Whittaker. Sorry no refunds. However if you can no longer make it, you are welcome to transfer your ticket to a friend. Please informs us by email in advance of the name change for our register. Please note due to the nature of the event, late admittance is not an option and Please PLEASE do not buzz if you are late as you will not get in and it will disturb those who have arrived on time/early. 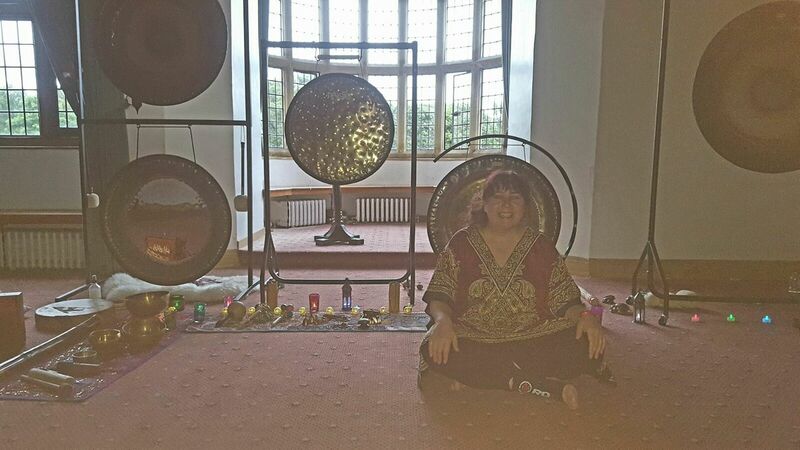 Gong bath May 18th May 2019 £15.00 4.50pm to 6.00pm Please read important info. Bring mat/blanket/cushion. Arrival times are important and due to the nature of the event late entry is not an option. We do not offer refunds.